As winter creeps ever closer, we’re concentrating on holidays where you can defy its cold clutches. So if you want winter warmth, you’ll find it in our Top 10 destinations that hit at least 20°C throughout even the coldest winter months. 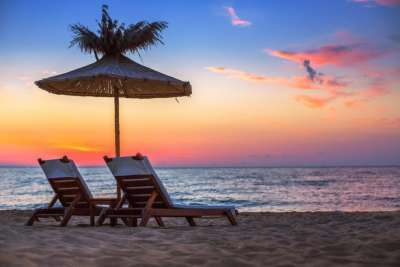 And as we’re pretty cash conscious here at dealchecker, they’re the holiday spots offering the best value for money at those temperatures too. If you're after the cheapest, closest winter warmth, set your sights on the Moroccan seaside town of Agadir. The broad sand beach, cafe-lined promenade, sparkling marina and surrounding golf courses offer a different version of Morocco to the traditional bustling medinas and spice-scented souks. You can easily explore the Atlas mountains and surrounding sand dunes on a day trip, but we won't judge if you just want to sit and soak up the winter sun. There's plenty of choice among the Islands of Eternal Spring. Tenerife's where to head for lively resorts and the monumental Teide volcano. Gran Canaria boasts over 60 kilometres of beaches. Low-lying Lanzarote blends traditional Canarian architecture with otherworldly volcanic landscapes, while quieter Fuerteventura is known for its rolling sand dunes and spot-on windsurfing conditions. And that's only four of the seven islands! 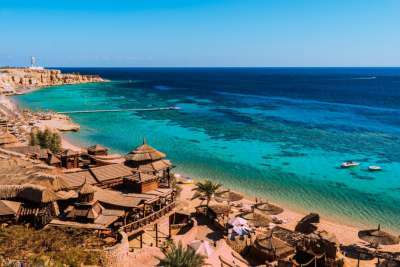 Golden sands meet crystal waters brimming with underwater wonders at the Red Sea resort of Sharm el Sheikh. This diving and snorkelling heaven is also known for its year-round sunshine, and for the extensive five-star resorts that dot its shores - most costing a fraction of what they would in Europe. 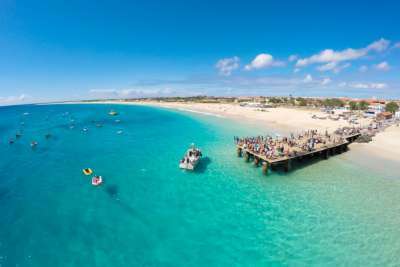 If you continue south from the Canaries you'll arrive upon another island chain - Cape Verde. This small archipelago nation fuses Portuguese and African influences into a wonderfully exotic holiday destination which is blessed with miles of sandy beaches, and a mild climate that stays in the 20°Cs all year round. 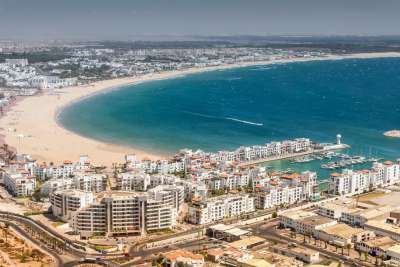 The two eastern islands of Sal and Boa Vista are where you'll find the best beaches and a burgeoning tourist industry. For tropical temperatures (on the cheap) escape to the beach resorts lining the short Atlantic coast of the Gambia. This small nation that encases the Gambia River is also a paradise for wildlife. You'll likely spot exotic monkeys and birds in your hotel grounds, and you can see porcupines, bush babies and crocodiles in the nearby nature reserves. A glitzy visit to the astounding shopping malls and Burj Khalifa, the world's tallest building, could cost less than you thought. 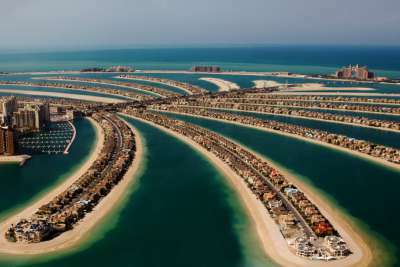 Dubai's winter temperatures are much milder than the rest of the year, but still plenty warm enough for a trip to Jumeirah beach and the Wild Wadi Waterpark! Just by picking your island carefully you can get a Caribbean holiday for less than you might think. Rather than exclusive resorts in Barbados and Antigua, try the Dominican Republic. You'll still find sugary sand shores lined by palm trees, warm Caribbean seas and chilled island vibes - but you won't have to pay a premium for it. 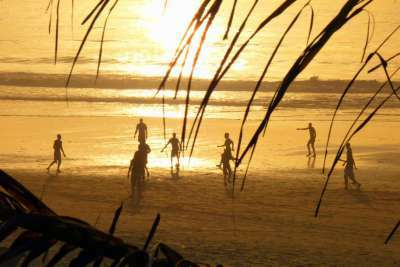 We think Sri Lanka offers incredible value compared to other tropical holiday destinations. The tear drop-shaped island is just 650 miles away from the Maldives, yet we regularly see deals to luxury resorts for nearly half the cost! There's no scrimping on experience either. 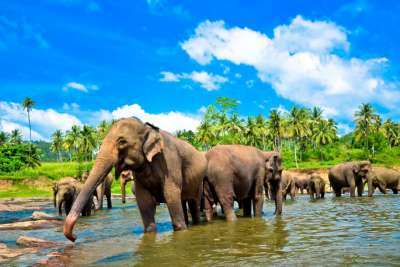 You can discover unspoiled white beaches backed by tropical forests, visit ancient Buddhist temples, and join elephants gathering for a bath all on this one small island. 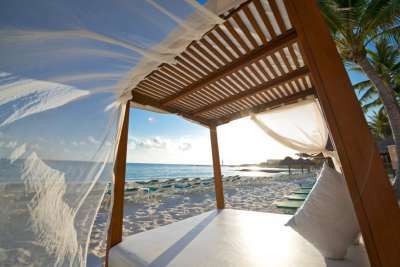 The gleaming hotels that line Mexico's gorgeous Caribbean coastline offer another cheaper alternative to the Caribbean islands themselves. If you opt for all inclusive you'll find these hotels take it seriously, some include everything from smoothie bars and sushi stands to sunset cruises in the rate. And just a short journey away you can explore the pyramid temples of the ancient Mayan city of Chichen Itza. 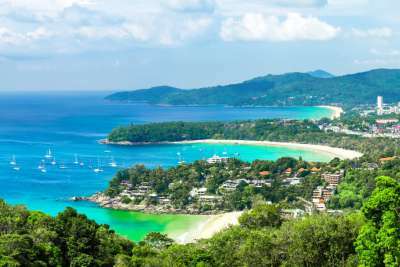 The winter months are the optimal time to visit Thailand's western Andaman coast and the island of Phuket. And why would you not want to? Dreamy beaches, bargain prices and smiling Thai hospitality are all in abundance. You could join the bustle of hedonistic Patong Beach, or head south to emptier beaches like Karon and Kata. 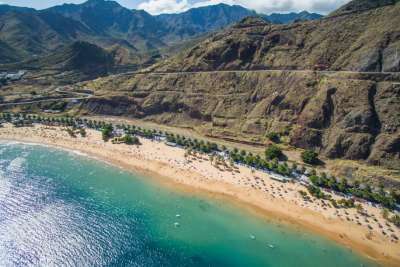 You'll find quieter options still on the island's southern tip.